So now let’s go into more detail, even though I already gave a few ideas in the previous posts as well. First, I’d like to give ideas to students, although those who can read my posts well, are not in much need to get additional ideas, they may already be well on the way to speaking English perfectly. However, teachers may also find some ideas to forward to their students, and we’re not only talking of learning English as the ultimate aim, but possibly learning as many languages as other bloggers have done. Besides, I’d remind my readers again that this site is written by an average language learner who happens to have become an English teacher and now has decades of experience, so the points of view I’m making my noise from is not the learner-genius-teacher for whom his own instruction to students once is perfect and anyone who can’t follow him had better think twice and cram into their own caves to practice a lot more. To avoid pig-headedness, I’d also like to remind colleagues that the state of English teaching is so much higher in quality than with other languages precisely because it’s based on a tradition of a lot of exchange of ideas. By writing this blog, my own purpose is to a great extent also to learn from the reactions of my readers. Learning never ends. For those learners who would quite confidently state that their English is fluent, let me bring up the story of an excellent former friend who went on to study English and American literature in the States, where she was often met with people asking if she really came from Hungary. When it had become embarrassing enough for her, she asked her mentor, who she wasn’t embarrassed with, about the reason why so many people knew her country of origin. What he told her was that on the one hand, everybody in the States pronounces /w/ correctly and differently from the sound /v/, while on the other, almost everybody from Hungary can only pronounce /v/, of which Hungarians have become famous. I can also tell you that teachers who relatively often meet teachers from other countries, can usually correctly guess who comes from where. 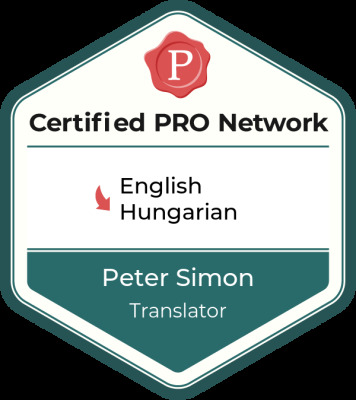 My point is that even the best speakers, professionals and excellent students have some peculiarities at least in pronunciation that they can work on. National dialects have small, but sometimes disturbing features that can make the speaker difficult to follow, like the English spoken by lots of South-American colleagues for Middle-Europeans, which, however, may just as well work in the reverse direction. To avoid talking Chinglish like the Chinese, as mentioned in an earlier post, you’d better work on your spoken language at any possible occasion. If you are not so talkative and don’t have so many opportunities to talk the target language, you can at least try to listen to others talk it. The internet age helps a lot compared to earlier times. If you don’t even have a Skype-friend, or you find talking more tiring than useful, you could still listen to news and other radio and television programmes on-line. It has great advantages over direct listening if you can find broadcasting sites that re-broadcast overdue programmes. Then you can go back to what you didn’t understand for the first time and clarify the vocab or the strange structure. It works like rewinding a tape twenty years ago. One example can be http://www.hebikietsgemist.nl, where you can find English-speaking programmes as well as Dutch. Another is Metropolistv, at http://www.metropolistv.nl, where you can add /en for English-, or/nl for Dutch-language programmes, while some of the broadcast comes in the original local language and the broadcast is dubbed. For the best, trying to revind the video while transcribing parts of the program is perhaps the most outstanding listening activity that helps break through the ‘intermediate plateau’, which is widely known among teachers but quite unknown for students, the best of whom perceive lack of steady development a failure. It is not so. Experience and skills accumulate even while you can’t feel it, and on or above the intermediate level, it takes longer to achieve higher levels than below. As a student, you’d better believe your teacher that it exists and makes your feelings about your perceived lack of development wreched, but you shouldn’t give up on using a language that you already speak. People can forget anything not used over a longer period, so don’t let that happen. It would be a huge waste of your time and energy already invested. But transcribing is definitely time well spent, because it focuses on all aspects of the language and writing it down makes it resemble a kind of interaction. Listening practice is the most important and often neglected side of language learning and is especially important when real communication is rarely possible. Besides, we can only use knowledge already acquired for talking. If we can use the listening material for collecting vocabulary, we provide ourselves with more to be used for interaction when the possibility arises. For those less inclined to talk or listen, reading is the best way to build up the often elusive vocabulary base in meaningful contexts. But for good results, you shouldn’t be too lazy to revise, and you’d better revise a little frequently than too much too rarely. The brain tends to forget stuff fast after a while, but after revisions of not-yet-forgotten material, the rate of forgetting tends to get lower. It’s much more difficult to revise what we’ve almost forgotten, and then it may again become easily forgettable. Methods of revision are numerous, but keeping your own vocabulary list and often revising it is a minimum. It’s also a good idea to keep a clean version of handouts so that you can later compare your solutions to grammar or vocabulary tasks, or the understanding of former texts to your present knowledge of them. There are also computer programmes, for example the kind downloadable from http://www.byki.com/ where you can find vocabulary lists, often with pronunciation from dozens of languages, and for a little one-time fee, you can upgrade and then make your own vocab lists. Those lists also serve as testing tools in both directions using flip-cards. In several countries there are also web-sites that have been designed to enable you to make your own vocabulary lists and tests out of those, like the http://www.wrts.nl/ site, which is possibly also accessible in lots of countries. With these activities, the rules of interest are easy to apply: you listen to or read or practice what you are interested in, at the time and to the depth you find most suitable for you. My additional advice would be to use both ways to practice speaking. While reading out sounds quite matter of fact, you can also repeat what you’ve heard on the video. This is a very important preparation of real speech, because the speaker’s speaking organs also need practice before they can perform their tasks well. Every sound has its specific place of origin in the mouth in interaction with the tongue and lips, often with the throat too, and each has its own specific pitch, for which the larinx, in the depth of the throat, needs various positions that we are unavare of. It’s all like a singer preparing for the opera stage. What I haven’t talked about is the area of grammar. There are numerous reasons. For one, some languages, among them English, Dutch and above all Chinese, don’t really rely on grammar much. There are rules, naturally, covering the structures of sentences, word-formation (if any), or verb tenses (if any, because these don’t exist in Chinese), but there aren’t numerous forms to verbs to be adjusted to the number, gender and person of the subject, and there aren’t numerous forms to the nouns and adjectives according to noun gender and various aspects and cases, as is the case with French, Russian or Hungarian and a lot of others. A large part of modern English teaching considers vocabulary groups far more important than traditional grammar, that is, in what contexts and together with which other words can we use items to form utterances, which come together as idioms, what sentences can we learn by heart without grammatical analysis to be used as everyday forms. So you are also advised to consider certain structures in English as whole items to be learned, like for example ‘would you be kind enough to tell me if …’, just for the sake of being polite enough to your next interviewer for a new job. In the same way, it’s useful to learn something about the sequence of adjectives like in ‘a very old bright brown sunny Austrian wooden mountain house’ where you’d like to spend your next holidays, and that to talk about any other idea is not ‘very preposterous’, but ‘utterly preposterous’. There are rules about these possibilities, but they are in the usage, not in grammar. And at the end of the day, teachers usually tend to overwork grammar anyway, so you’ll have covered probably everything five times over by the time you leave school. If something is not clear, there are masses of books to answer, and the teacher is always there to explain. That’s where most of them feel completely at home. Some final words to students. Teachers know that you have lots of priorities outside class and studying, and some may resent that. They also tend to stick with their own methods, which may not suit you. If that is the case, find out what your own best methods are and use them to cover what needs to be done. But before going into rants about that stupid teacher, look into your own ways and habits, put your hand on your heart and try to declare that you’ve done all you could to develop and learn what was necessary.